For the past few years, I have been capturing Milky Way photography and images in the night sky over my home state of California. My passion for astrophotography and star photography happened during the first night I shot the Milky Way. I knew that star photography would be something I would focus on for a long time. Here are some of my favorite images that I have taken on my adventures. 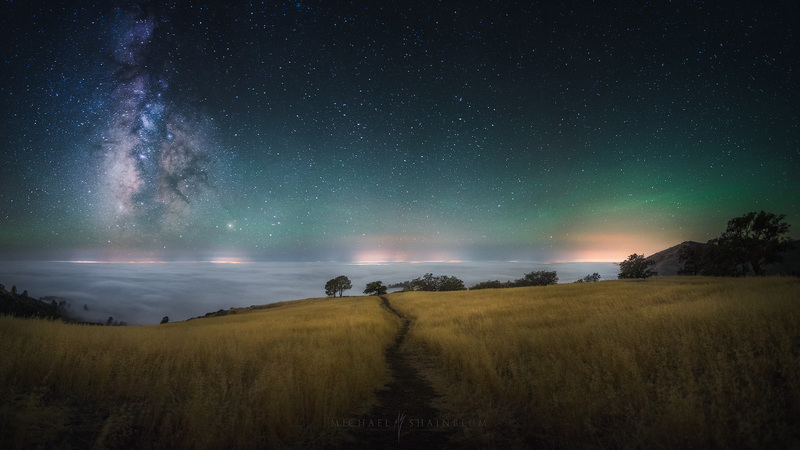 Tracked Milky Way over Santa Barbara. Wide Field Astrophotography. 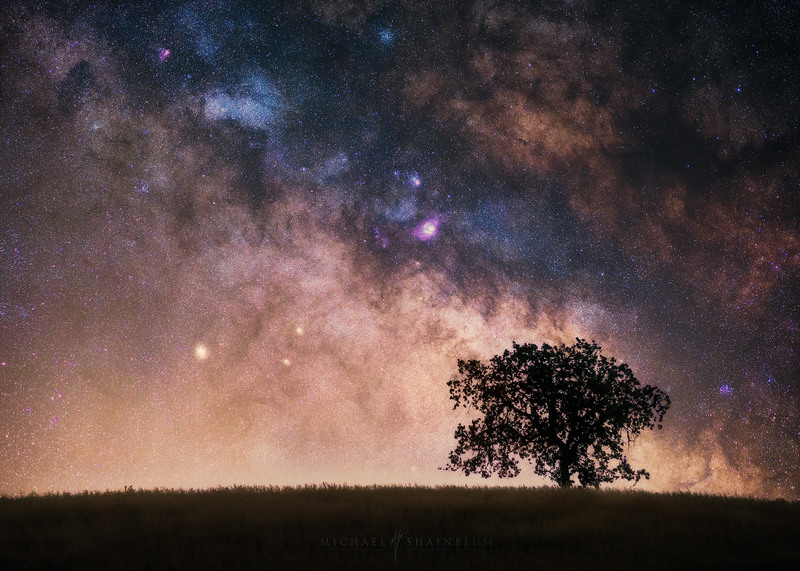 Here is one of my favorite astrophotography images, taken in Santa Barbara California. This was one of my first attempts at tracking the Milky Way to retain detail in the core. 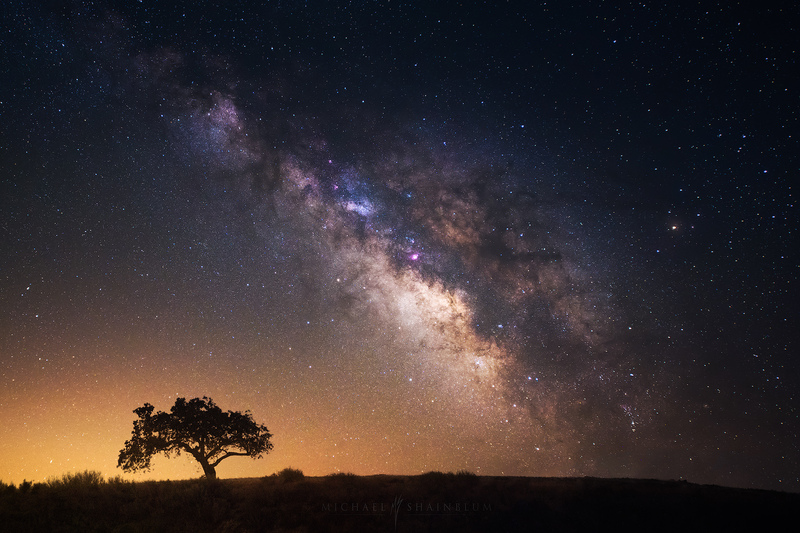 The tree was on top of a hill and I was standing at the bottom, giving me the ability to move around and plan the exact position to catch the Galaxy rising in the right spot. It also gave me the ability to get a clean Milky Way rising right above the horizon without a ton of light pollution. The image is a mix of two different photos. One was a 50-second photo taken of the Galaxy which uses a star tracker device that follows the stars and allows you to take long exposures without star blur. The second photo was a 50-second exposure without the star tracker for the tree and the hill. The positioning of the Milky Way was left natural as to how I viewed it in person. These photos were taken no more then 1 -2 minutes apart. The Milky Way over California. 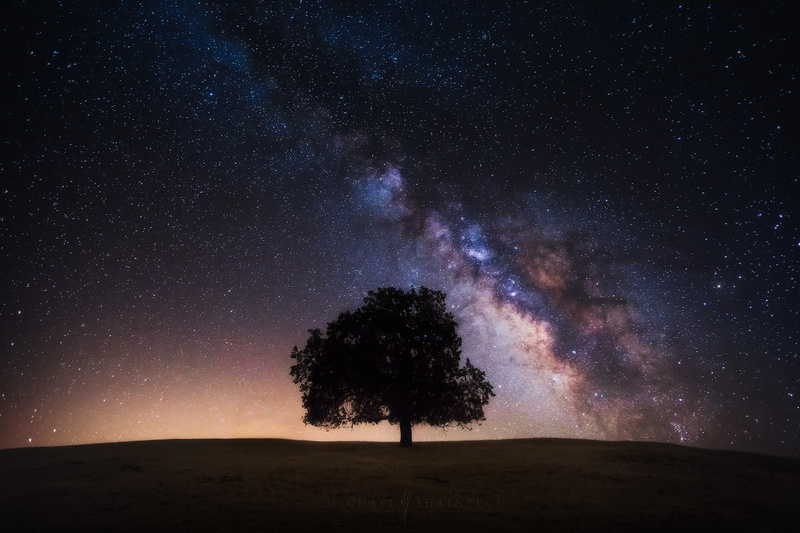 There is something so magical about a lone Oak Tree complemented by the Milky Way Galaxy. Throughout my years in college, from 2009-2013, this became one of my favorite subjects for my star photography. 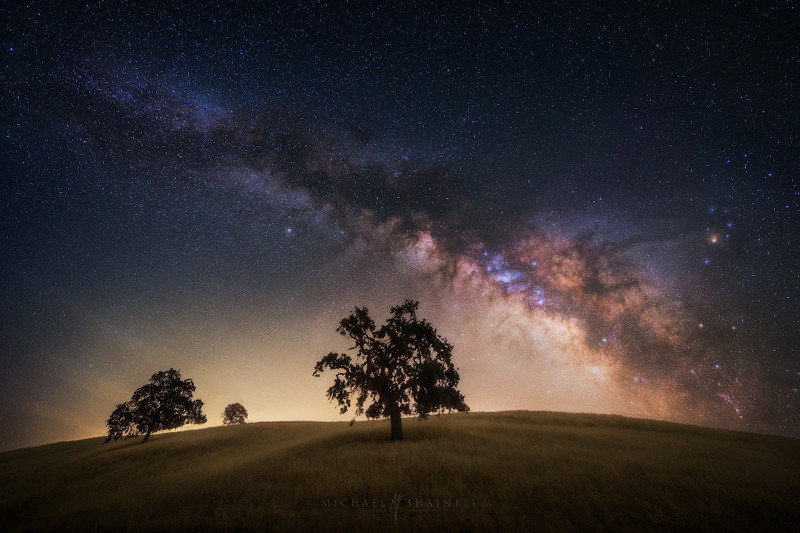 The Milky Way over Santa Ynez. California night sky photography. This was one of the most vivid nights I have ever witnessed shooting star photography. A heavy layer of fog covered everything except the 6K elevation mountain peak I was standing on. The view of the Milky Way was even darker than what I have seen in Death Valley or in Arizona. Another incredible night shooting Milky Way Photography over Santa Ynez. The green glow you are seeing in the sky is called ‘airglow’. 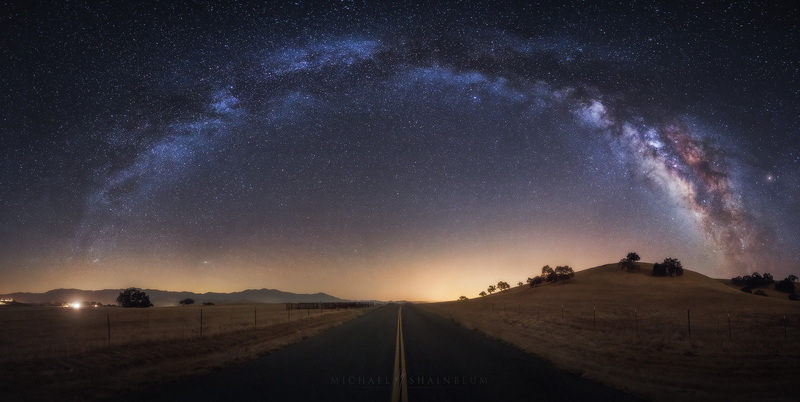 The Milky Way over a road in California. 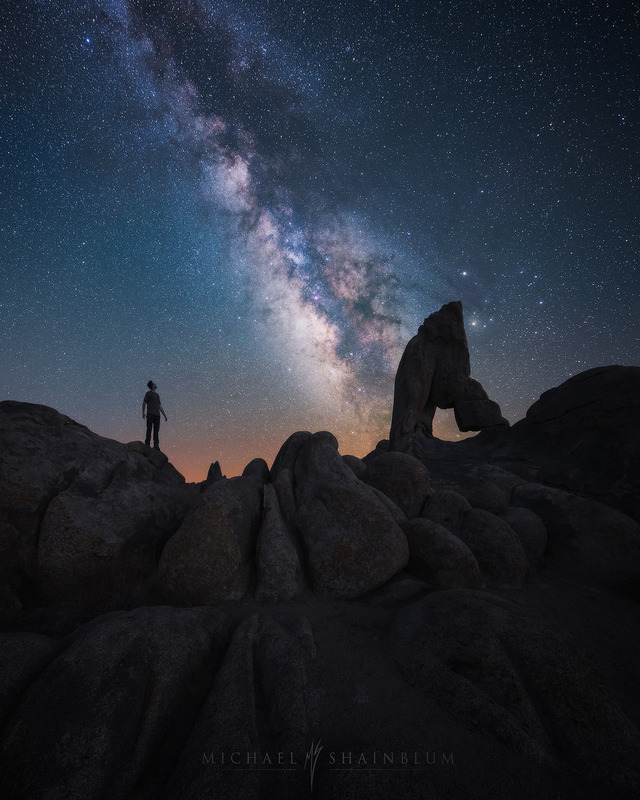 Lone Pine California Milky Way Photography. 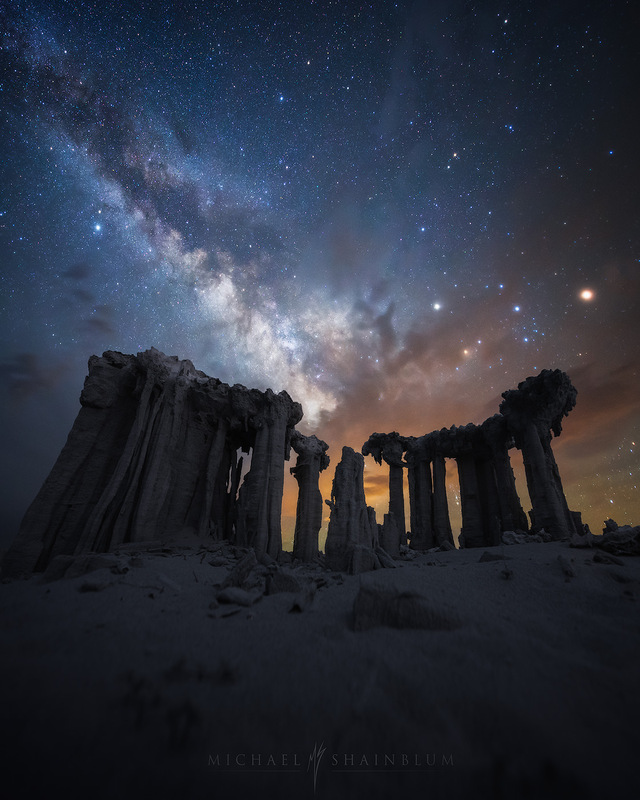 The Milky Way Galaxy over ancient formations in California. 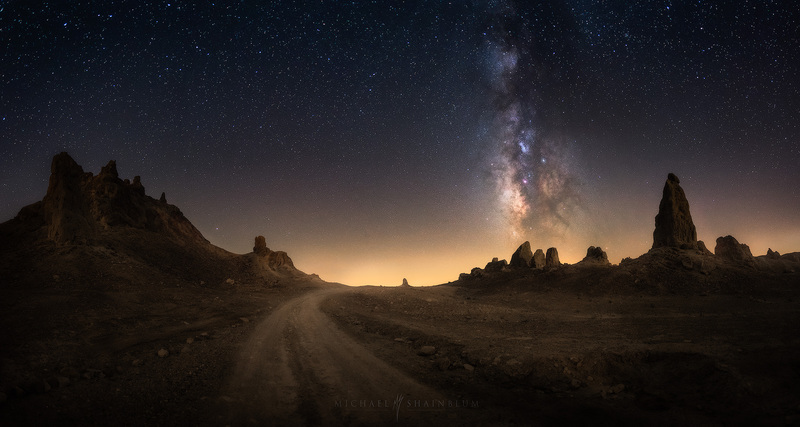 These two star photography images were taken in the Eastern Sierra mountains of California. This was by far one of my favorite night sky photography adventures. 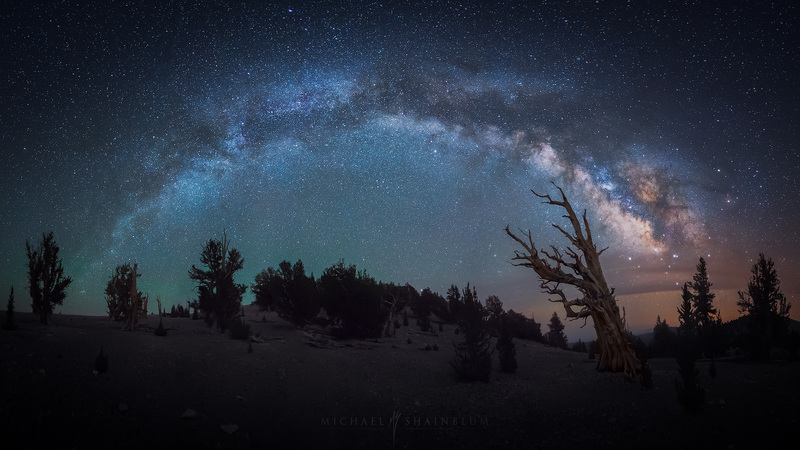 The Milky Way Galaxy over the Ancient Bristlecone Pine Forest in California. Astrophotography panorama of about 14 wide angle photos. This night sky photo was taken over the oldest living trees in the world. The Ancient Bristlecone Pines, some are over 4000 years old. 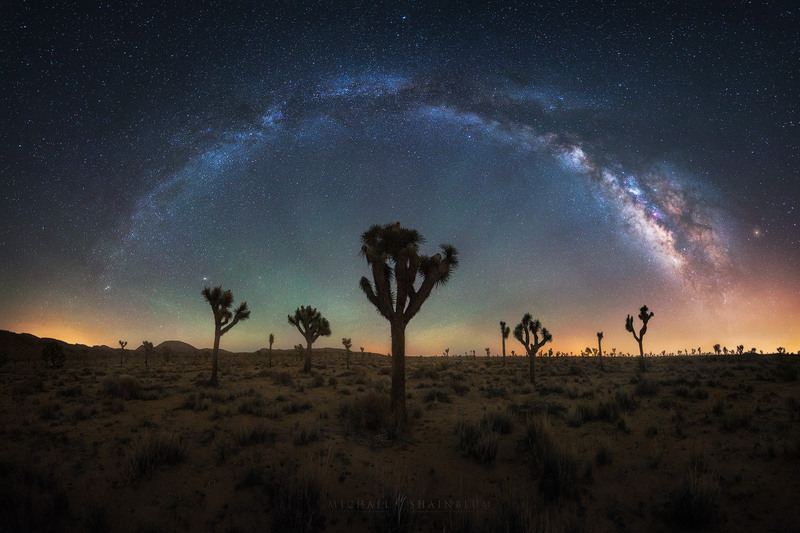 California Desert Night Sky Photography. 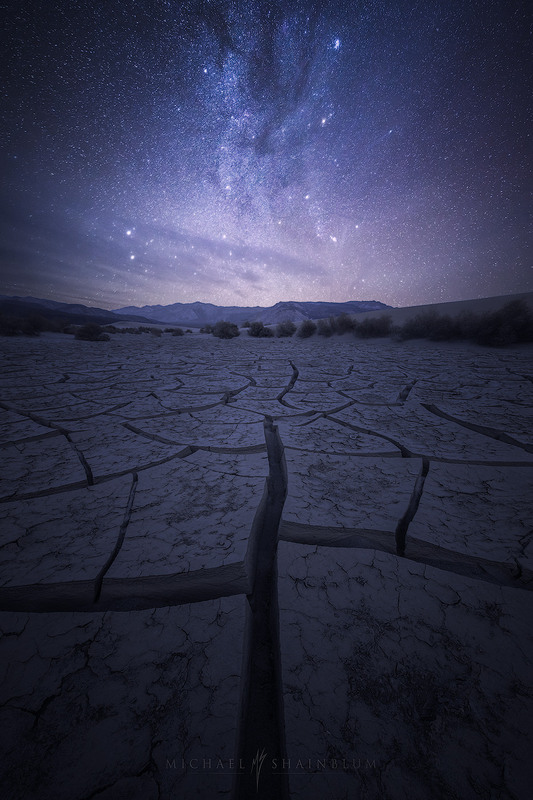 The Milky Way Galaxy over Death Valley National Park in California. It is hard to believe these incredible cracks exist, shaped by time. Taken in Death Valley National Park. 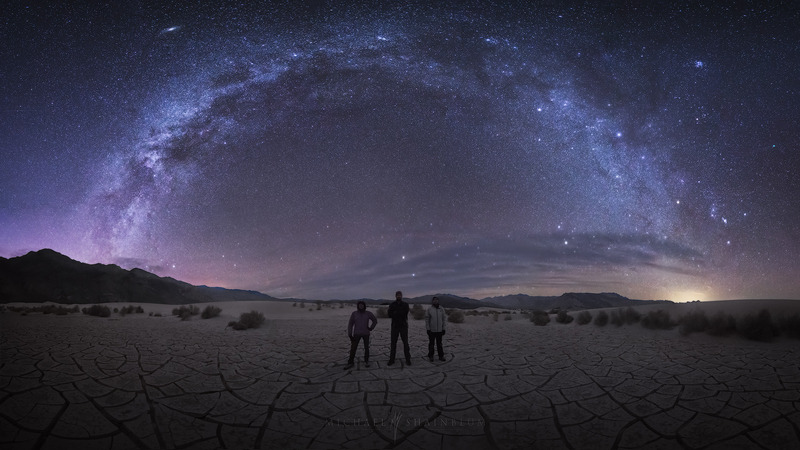 The Milky Way Galaxy over Death Valley National Park in California. 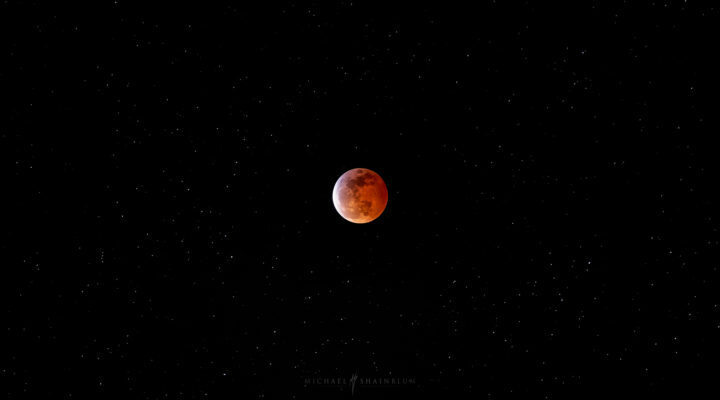 14 image astrophotography panorama. I have always found my fondest memories in photography are when they are shared with good friends. 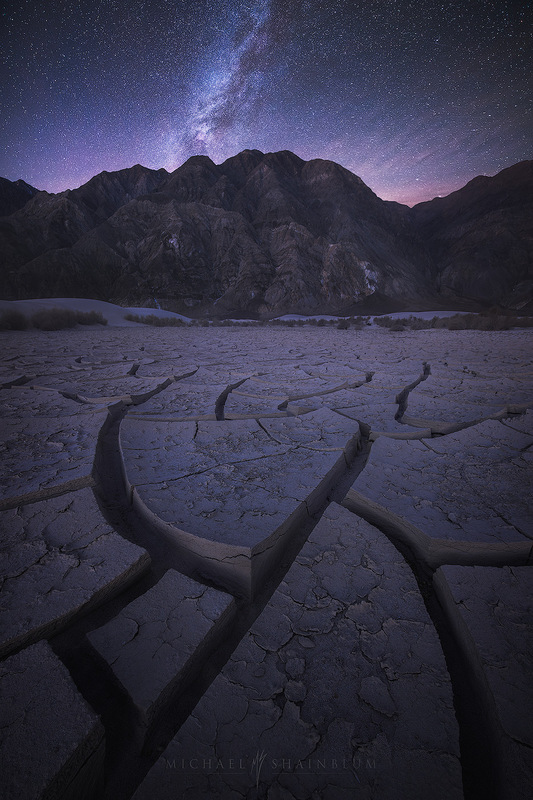 This night in Death Valley was shared by Justin Grimm and Erin Babnik. 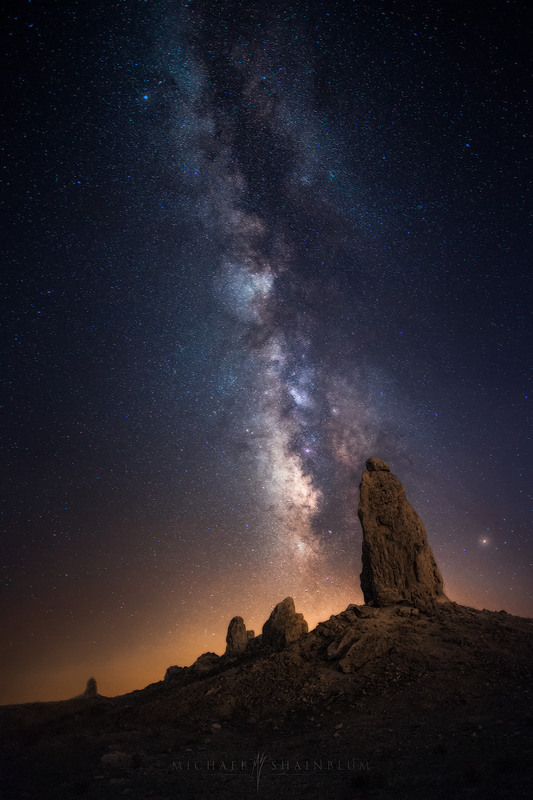 The Milky Way over Trona Pinnacles in California. 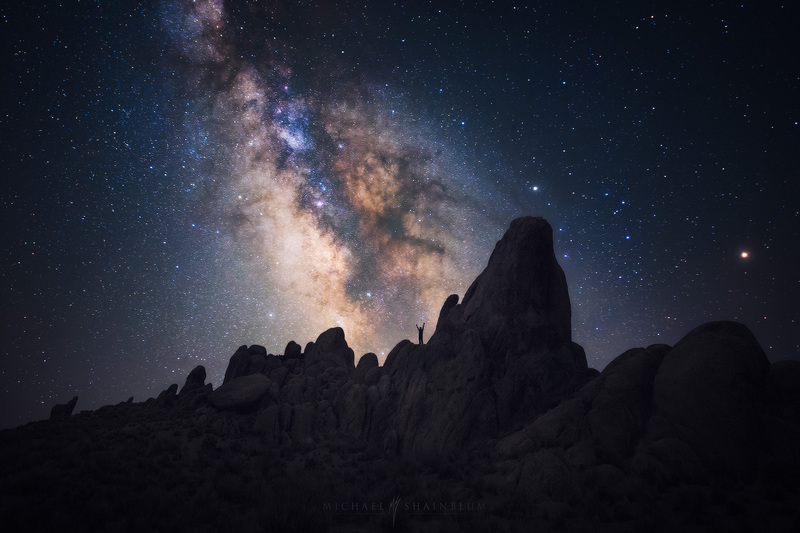 The Milky Way Galaxy over Joshua Tree National Park. Astrophotography Panorama. 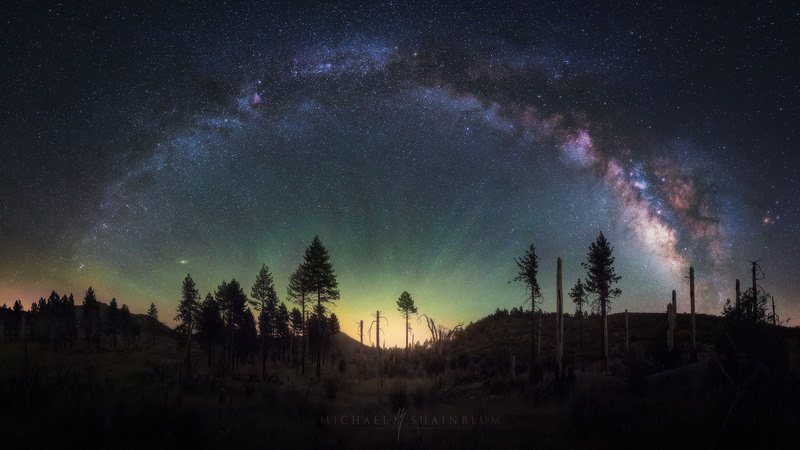 The Milky Way Galaxy photographed over the Mount Laguna in California, Night Sky Panorama. 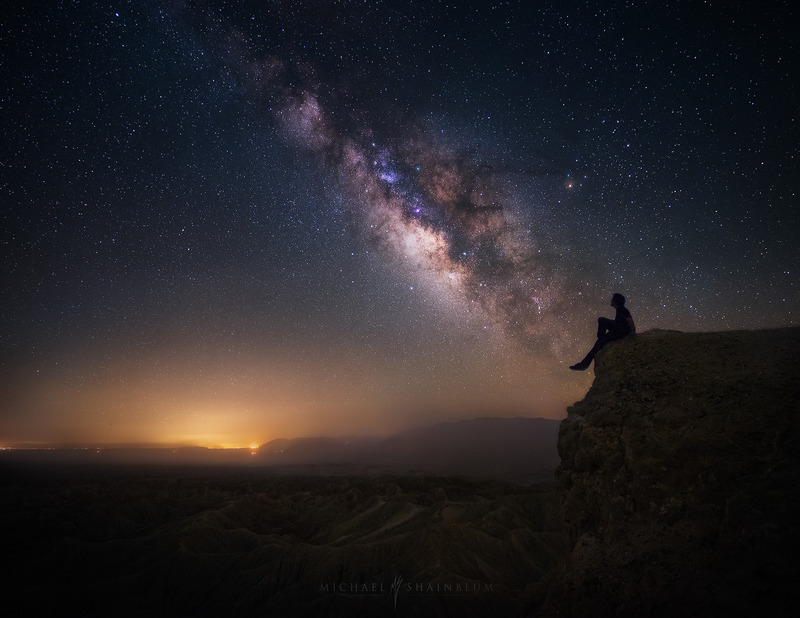 The Milky Way Galaxy photographed over the Anza Borrego Desert in California. This image was one of my favorite night sky photographs for a long time. We stayed up all night in the Anza Borrego Desert shooting Milky Way photography, taking my friend’s 4×4 Jeep around to some incredible spots. 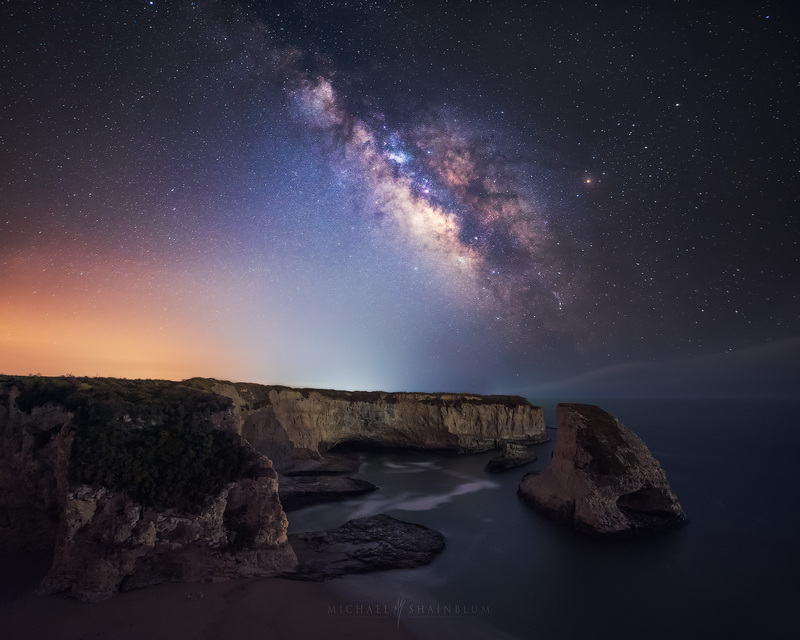 The Milky Way Galaxy over Davenport California. One of the many reasons I love living in California is the variety of landscapes for night sky photography. In the same day, you can be in the mountains and then drive to the beach. Another day, you can be around rolling hills of oaks and then head to some incredible desert landscapes. 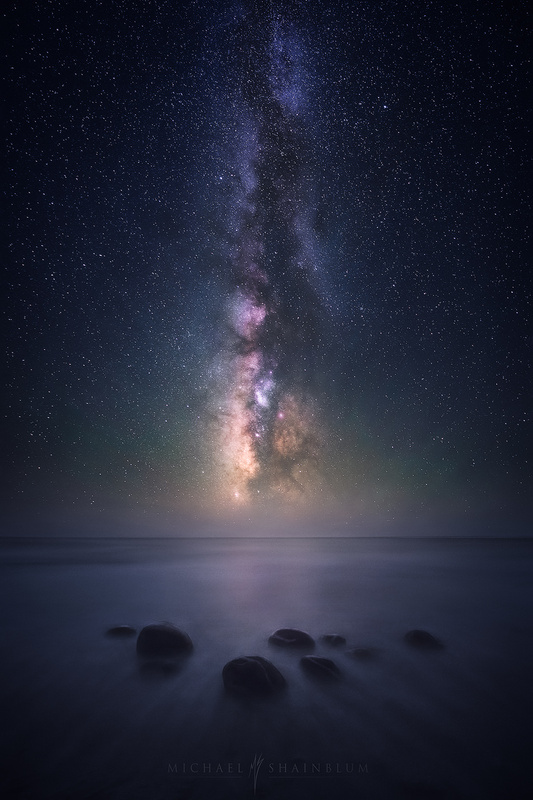 The California coast gets pretty foggy during the summertime, but every once in a while, it is magical when you get treated with a clear night. 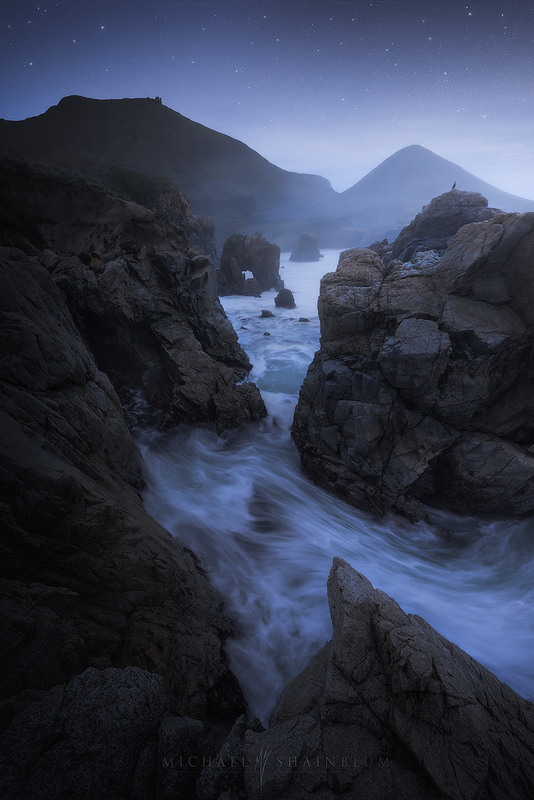 Big Sur under the glow of twilight. 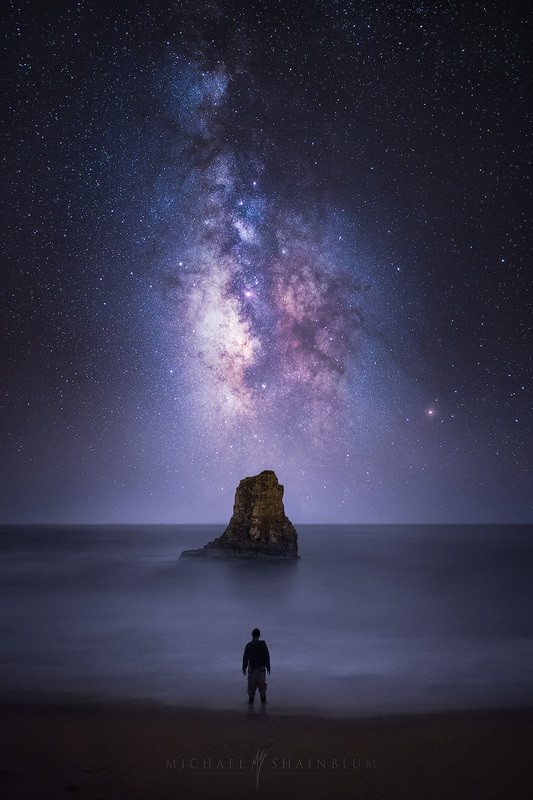 The Milky Way Galaxy over Mendocino California. 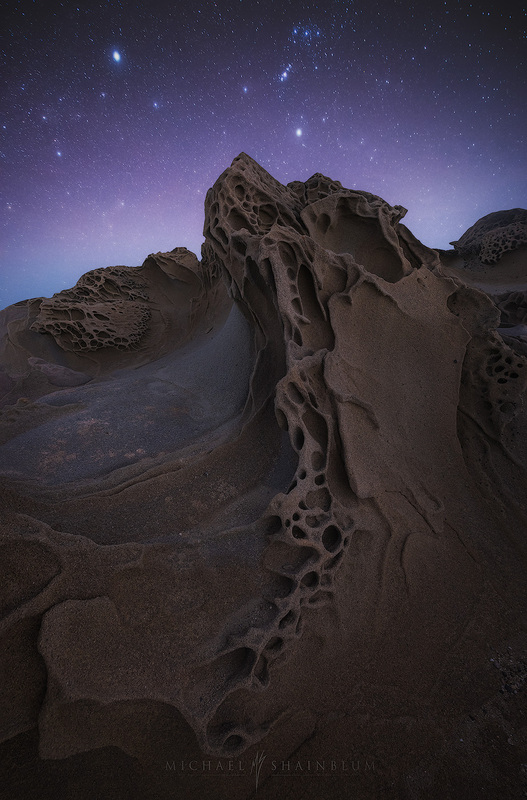 Otherworldly formations under the night sky in California. 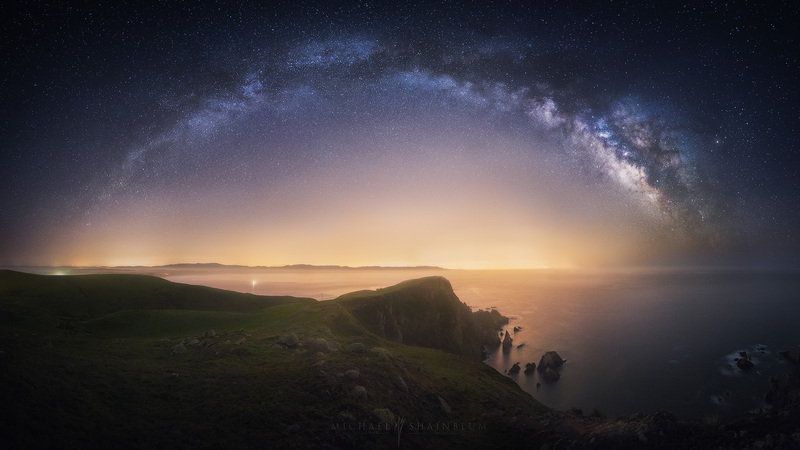 The Milky Way over Point Reyes California. Night Sky Panorama. Dim moonlight and the Milky Way aligned over Pfeiffer beach Arch in Big Sur California. Vertical panorama of 5 images. 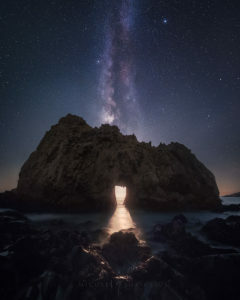 What you are seeing is a vertical panorama of moonset through the famous Pfeiffer Beach archway in Big Sur. The moon was fairly dim during this phase (18% or so) giving slight visibility to the Milky Way overhead. As the moon dipped down closer to the horizon the Galaxy became visible enough to even see some subtle nebula colors. The panorama consists of about 5 shots overlapping starting from almost completely overhead all the way facing down at some rocks near the tripod legs. The Milky Way and the sky looks soft and nice, with all the details. How to do this effect? Breathtaking photos! Were all of these taken with the A7R? 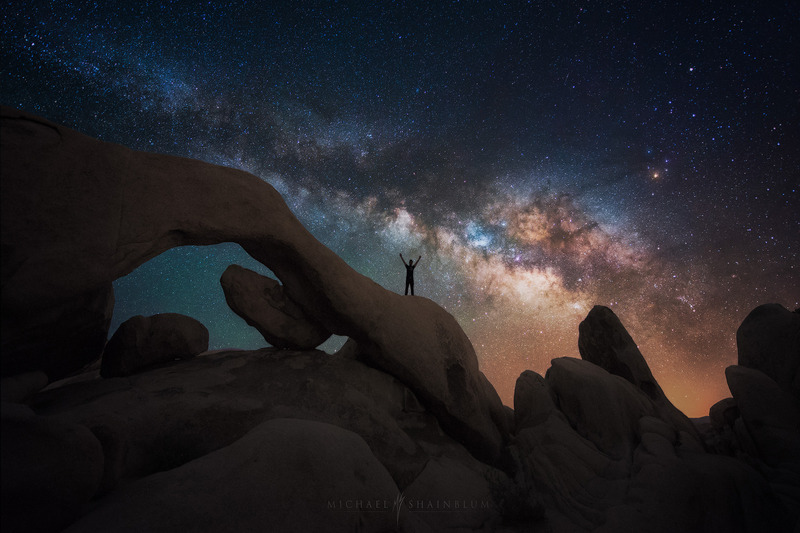 Thanks Nik, the images were taken with the Canon 5D Mark3, Canon 6D, Sony A7R, Sony A7Rii and Sony A7S. Hi Michael, amazing work. Bowling ball beach images were certainly my fav. I recently purchased a Canon t5i and I am headed to death valley this Friday (10/21) and one of things I wanna do is take a MW shot. I am no photographer by any means. Can you please tell me where specifically in DV did you take those images? Devil’s golf course? Also, do you have a cheat sheet for newbies like me? Michael, I love your pictures. What always get me is the way people, or you, look so sharp in the portraits made with a long exposure shot. This is absolutely amazing.Never have i felt more good searching for photographs.Mind blowing. All of these photos are AMAZING!! What lens would you recommend for me to even attempt to take photos like these? I have a Canon T6i and a Sony a6000. Can you tell me where I can go in northern ca. to film the Milky Way at this time? What canon lens did you take the Milky Way photos with? Amazing work! I love every single one of them. Can you share more infor about the “star tracker device” you used? Thanks! Your photos are amazingly inspiring to me, I’m an amateur astrophotographer. I’m heading to Death Valley in a few days and my goal is to capture a MW panorama. May I ask, for your panorama shots, do you use a wide angle or a telephoto? I do have a star tracker so I can do longer exposures as well 🙂 So excited and would love any tips/advice. your photos are absolutely amazing. im a amateur travel photographer. your photos inspired me in many ways. appreciate if you could share tips on how to spot the milky way? Awesome Shots! Stunning… Incredible work, really! Ohhh man! SICCKKK!! You are one of the best astrography photographers i have ever known. May i ask you what type of Star Tracker do you use please? Thanks so much! I use the Vixen Polarie Startracker for some of my images. Great pics ! What lens did you use for the oak tree photos? You should came to brazil for some nightpics! 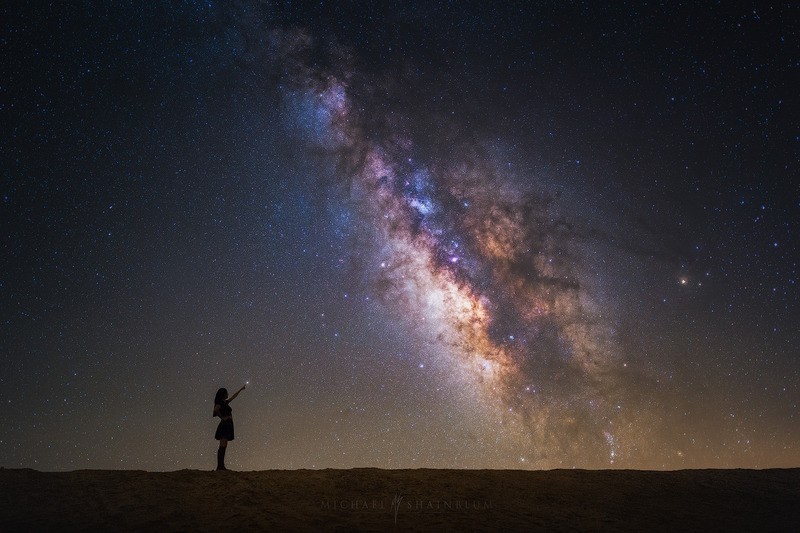 LOVE your milky way images. You’ve processed them so well too! Excellent photos.. which months in California did you took the photos specifically ones in Santa Barbara & Santa Ynez? I am planning a trip next week in SFO and would love to have spots to observe such amazing view of mother nature..
Hello there, I’m very impress , all the photos is awesome just want to know what month and time did you take MILKY WAY in Santa Barbara and SANTA YNEZ? 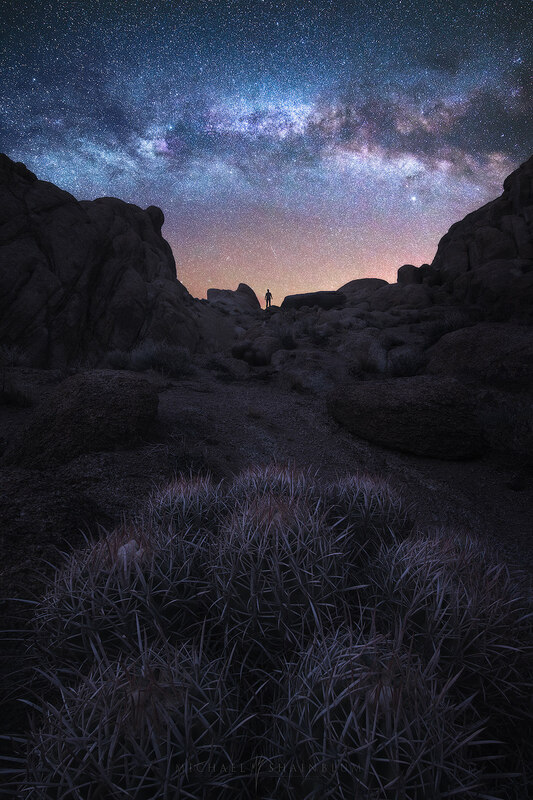 What time and month you take MILKY WAY in Joshua Tree National Park. We been wanting to see MILKY WAY and take some photos with my Nikon D7000. A really appreciate if you can tell me the time and month. Love the photos. I’m gonna be in California in mid February. I’m bringing my Nikon equipment with me and want to try Star Photography in Joshua tree. Will the milky way even be visible then during this month or will it be visible early morning.